Offers: See website for details. Situated only a few miles from the M25, Cheshunt golf club is a private golf club, which dates back to 1971, and is set within 232 acres of Cheshunt Park. The Golf Club provides all the usual golf services including full practice facilities), 9 bay driving range, chipping and putting greens. Adequate parking is also available on site. Cheshunt Park Golf Centre also has an Academy Course, with its own scorecard set out on the first nine holes (blue tees) to help beginners progress from lessons to the full course. Normal membership or green fees apply to access the Academy course. Fairways are generally tree lined, always lush, and course management plays an important part here. Cheshunt Golf Club is renowned for the quality of its greens, and is open from dawn until dusk allowing Cheshunt Park members and visitors to enjoy an excellent golfing challenge and excellent value, just minutes from the A10. Cheshunt Park Golf Academy delivers professional golf tuition to complete beginners as well as those wishing to improve their stroke or handicap. Lessons take place across a combination of the floodlit driving range, short game area, putting green, and the golf course. 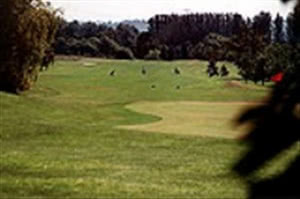 This golf course is owned and operated by Hertfordshire borough Council. The club welcomes Societies, visiting parties and non members alike, and two function rooms are available for hire. Good value for money course that was in extremely good condition given the appalling weather in the UK for the last few months. Even playing the round in snow did not dampen the spirits of our group.